Genealogy-themed TV shows make it all look so easy! I don’t watch a whole lot of TV, but some of my favorite shows are “Finding Your Roots,” “Who Do You Think You Are?” and “Genealogy Roadshow.” However, part of me cringes at how simple genealogy research seems on TV, where professional genealogists cram months worth of intensive investigation into a TV-sized nugget of time. As I’ve mentioned in previous genealogy related posts, researching your family history takes significant time, effort and skill. Genealogy shows probably do what they can to make it clear that professional genealogists conducted their explorations over the course of weeks or months. It’s important to remember that you won’t put together much of a family tree in an hour, or even in a week’s time. Remember that the process of assembling your family history, should you remain interested in it, could last for decades or even the rest of your life. There will always be more data to gather. Ads for family history websites really make it appear almost effortless, but building your family tree actually takes significant legwork and a whole lot of patience. 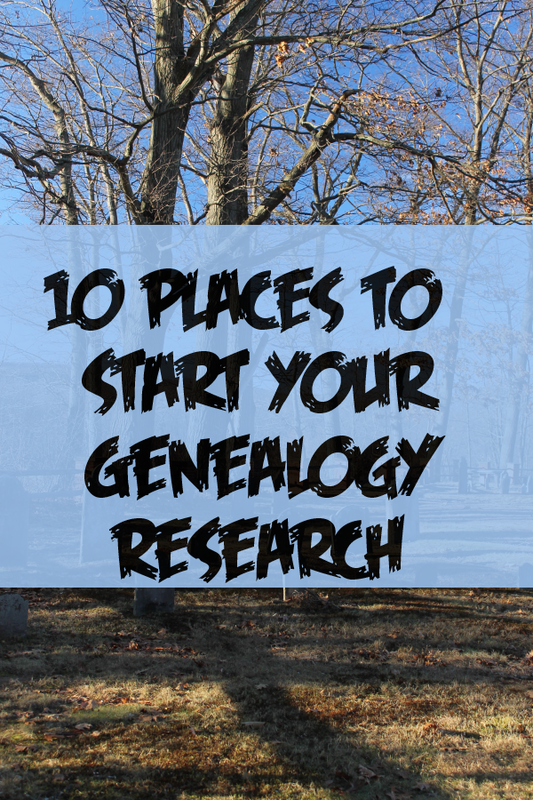 In case you’re interested in embarking on such a journey, here are my top 10 recommended places to start your genealogy research. 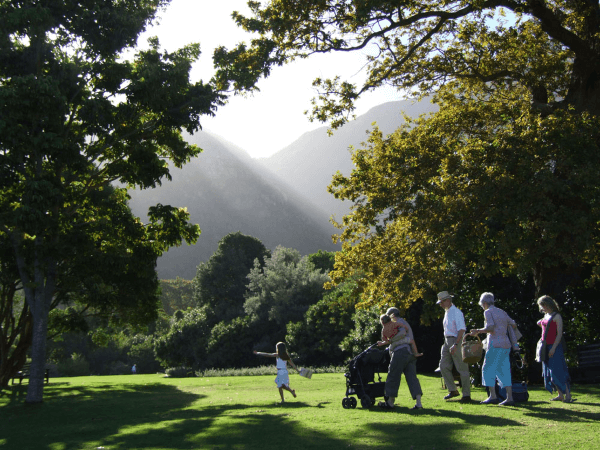 Get all of the information you can from close relatives such as parents and grandparents. 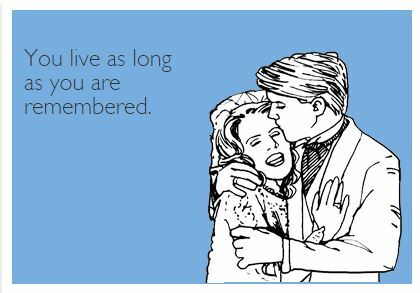 Then, seek out elderly aunts, uncles and other relatives. They probably know a lot that they haven’t talked about. Most people love to talk about themselves and their family. The more they talk, even about subjects unrelated to family history, the more they’re likely to recall, including tidbits that could prove helpful in your quest for genealogy information. Find out everything they can remember about parents, grandparents, great grandparents, aunts, uncles and cousins, including maiden names of women and any dates of birth they know. Even approximate years of birth can prove helpful down the road for determining whether you have the right person in the course of your genealogy research. You’ll want to take written notes while listening carefully. If you miss something, ask the relative to repeat it. For people you can’t talk to in person or on the phone, try email or social media. In talking with your relatives, be sure to ask if they know of someone else you should talk to. A relative might have already amassed quite a collection of family history information that you’re not aware of. 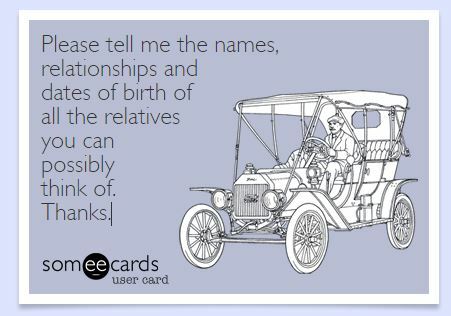 When taking down names, ask about relatives who may have gone by their middle names or nicknames. My maternal grandfather went by his middle name, and few people outside of the family knew his first name. I know numerous people who go by their middle names – coworkers, friends, relatives. Middle names also sometimes hold clues to family history links, since a fair number of men from previous generations carry their mother’s maiden name as a middle name, or even their grandmother’s or great-grandmother’s. It becomes a family name that gets passed down through the generations, sometimes verifying to genealogists that we’ve got the right person because he’s got a family name. 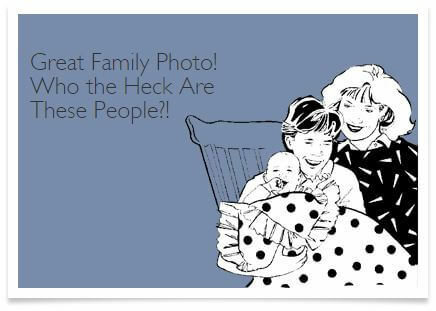 While you’re in contact with relatives asking them for information, request any old family photos they might have. Ask if you can scan the pictures and then return them (and make sure you do send back the photos). Many old family photos aren’t labeled, so you won’t know who’s in them. Remember to ask owners of photos to please label them or include notes as to who is in them. When you scan the pictures, include notations about who’s in the pictures. Don’t forget to label your own photos, too. If you’re old enough to have actual photo prints from before the digital camera age, remember to make note of who is in your pictures. Don’t assume you’ll remember in 20 or 30 years, or that your descendants will know who those people are when they find your photos in a box several decades down the road. Many libraries offer free access to genealogy resources, including Heritage Quest. Some even allow you to set up an online account to access Heritage Quest and other electronic research resources from home. Some libraries also offer free access to Ancestry.com, but only while using the library’s computers. At last check, this seemed like a somewhat scaled back version of the paid Ancestry.com site, but it’s definitely worth checking out. I’ve used the same genealogy software for many years – probably decades. You’ll want to check out all of the currently available genealogy software, read the reviews and download trial copies if possible before settling on what software to use. My old software hasn’t been available for quite some time. I’ve tried demo versions of other genealogy software and didn’t like them nearly as well, which is why I’ve stuck with what I’ve got. In case you can manage to find a copy, I use Family Ties Deluxe Version 6.0. I don’t recommend relying completely on the built-in family tree capabilities of websites, even if they’re free. Keep your own software on your own computer and make sure your computer’s data is regularly backed up. FindAGrave.com is one of my favorite free genealogy websites. Hundreds of volunteers take gravestone photos and enter information from graves into this outstanding database. Some entries even include copied and pasted obituaries as well as additional notes from relatives and family members. The site isn’t 100 percent reliable – I have found the occasional mistake. 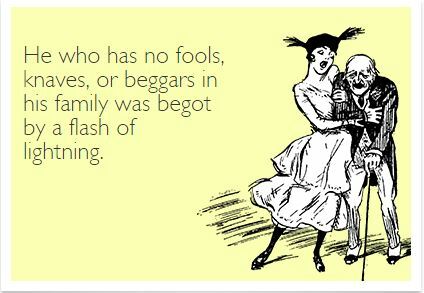 However, very few, if any, genealogy sources can be considered 100 percent accurate. Even information direct from relatives sometimes isn’t accurate, since people can remember incorrectly or just make mistakes. 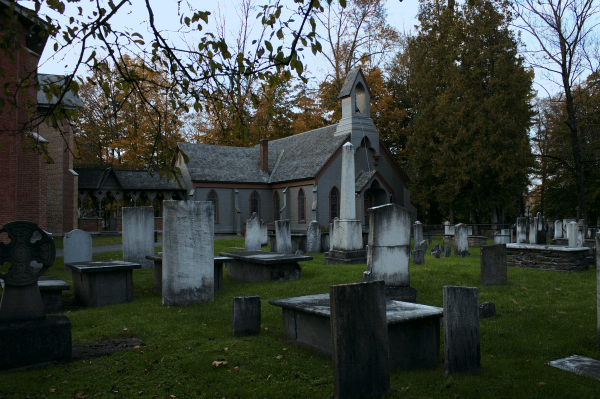 A good many cemeteries are listed on the site, but not all of them. Plus, some cemetery listings don’t include every single grave. FindAGrave.com is still a fantastic treasure trove of genealogical information, though. The Church of Jesus Christ of Latter Day Saints (a.k.a. LDS or the Mormons) maintains an enormous database of ancestral files and makes it all available for free, both online at FamilySearch.org and at their 4,745 family history centers scattered throughout the world. Genealogy research is an integral part of the Mormon religion, and their willingness to share their information for free is a boon to all family historians. The Mormons constantly add to their cache of genealogy resources, and they already claim to have the largest collection of genealogical and historical documents in the world. Their family history centers often boast computers and access to paid genealogy websites, plus they hold regularly scheduled family history seminars. Geni.com maintains what it calls a worldwide family tree and encourages people to keep adding their own family trees to it. However, my advice is to always tread carefully with other people’s trees, such as those available at Geni.com. Other people’s family trees can provide clues to follow when tracing your own ancestry, but don’t treat them as reliable sources in and of themselves. Some of the trees have links to sources, which you can use to determine whether the information is indeed pertinent to your own ancestral heritage. 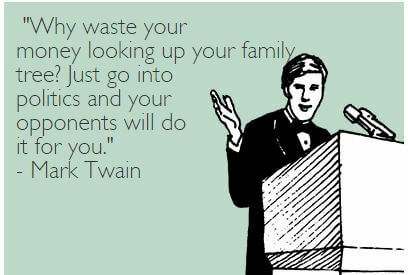 Many folks make the mistake of copying wrong information from other people’s family trees. In most cases, copying the genealogical research of strangers isn’t a shortcut worth taking. 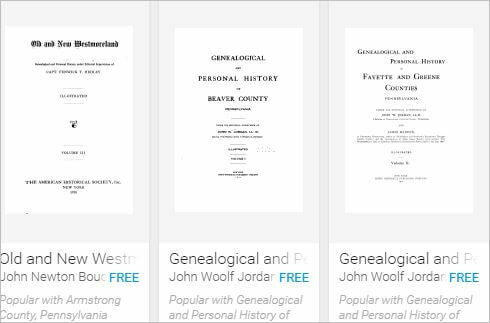 Google Books offers a variety of historical publications that can contain information about specific people and/or families. For example, someone in the late 19th century may have written a history of the county where many of your ancestors lived. This would typically include information on the prominent families in the area and the men and women who first settled in the county’s cities and towns. Some old books might also contain historical notes about the local churches, including the names of their founders as well as previous ministers and high-profile church members. In researching the area where my mom’s family has deep roots, I found interesting information on the church my relations have attended for all of its 200-year history. One of my ancestors was a founding member of the church. I also read that the academy which used to reside on church grounds was the first in the region to admit both men and women on equal footing. 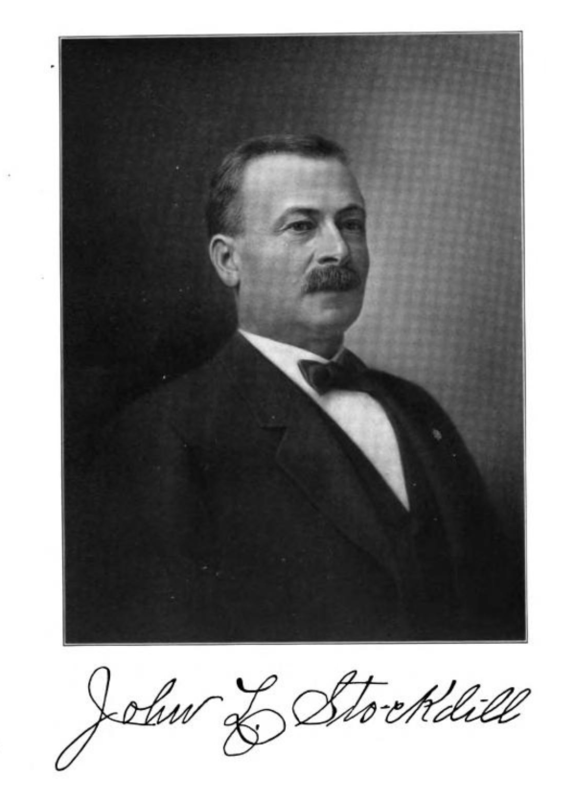 In addition, I located write-ups and photos of my ancestral relatives, some of whom were apparently prominent citizens. If you have some idea of your family’s ethnic heritage, try searching Google for terms such as Irish Genealogy, Polish Genealogy, Asian Genealogy, African American Genealogy, Native American Genealogy, Jewish Genealogy and so forth. If you use Google Chrome as your Web browser, it can easily translate most sites that aren’t written in English. 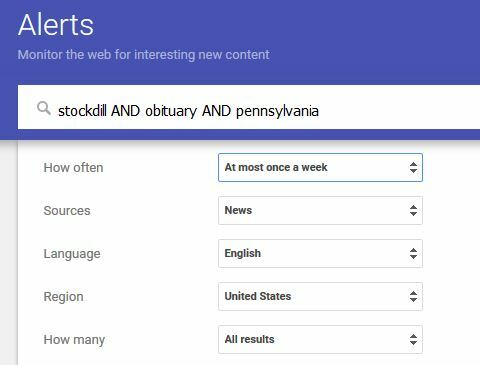 Set up Google Alerts so that you receive notifications of obituaries of people with the last names in your family history in the general vicinity where your family members settled. This works best for family names that aren’t terribly common and where relatives tended to stay close to the same area for long periods of time. For example, I have an alert for Stockdill AND obituary AND Pennsylvania. My Stockdale ancestors spelled their last name Stockdill up until the time when my grandfather’s grandfather and a brother of his started spelling it the more common way, Stockdale. The Stockdills settled in Western Pennsylvania centuries ago. Since that’s a fairly unique spelling of the last name, I’m probably related to anyone from Western Pennsylvania with the last name of Stockdill. Obituaries often contain quite useful information for genealogy research. You can set up free Google alerts for numerous last names and geographical areas. I recommend setting up a couple and having them go out once a week. Then, you can tweak your alerts and add more later. How much do you know about your own family history? How did you find out what you do know? Would you like to know more? Is ancestral knowledge important to you and your family?